Republicans have a problem, and his name is Chris Collins. The House Representative from suburban Buffalo got busted last week on federal insider-trading charges and, despite initially saying he’d continue his reelection bid, he’s since changed his mind. 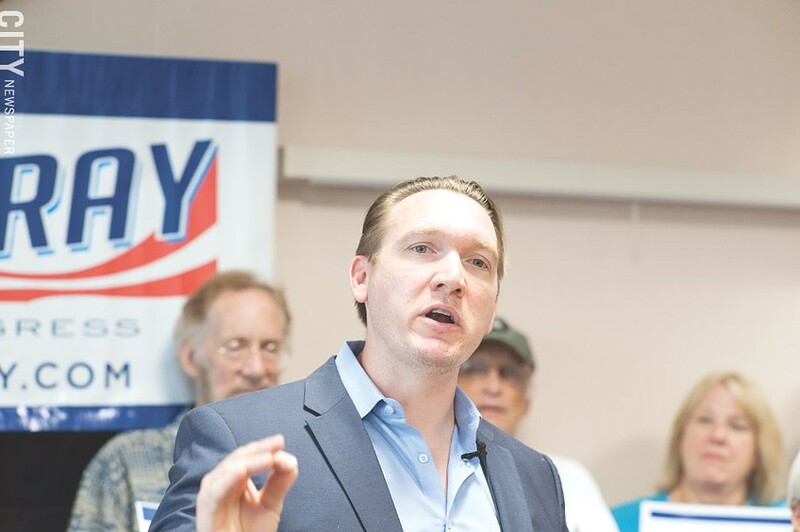 Nate McMurray, the Democratic candidate for the 27th Congressional District seat, is getting more attention after his opponent got hit with insider trading charges and quit the race. 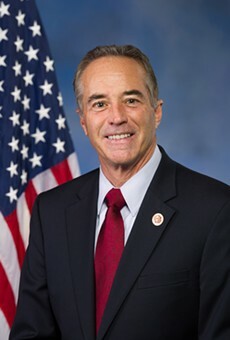 It’s “in the best interests of the constituents of NY-27, the Republican Party and President Trump’s agenda,” he said, for him to suspend his reelection campaign. But Collins hasn’t made things easier for the GOP by quitting the race. Party leaders have no clear way to get Collins’ name off the November ballot and get another candidate on it. Under state law, the deadline has passed for both actions. Now, party leaders across the district are working with election-law attorneys to see if there’s some loophole or scenario they can manipulate. If they can figure that out, at least a dozen Republicans are interested in taking Collins’ place on the ballot, by the Buffalo News’ count. They range from Assembly member Stephen Hawley of Batavia to Carl Paladino, a big-time Trump supporter who’s run unsuccessfully for governor and who got removed from the Buffalo school board. The 27th Congressional District begins in Erie County and sprawls into the Monroe County towns of Hamlin, Wheatland, Rush, and Mendon. The whole Collins mess has given the Democratic candidate in the race, Grand Island Supervisor Nate McMurray, a lift. He talked about the new attention his campaign was receiving during a press conference in Rochester, held the day after Collins was charged. He and his supporters saw a potential victory before, but now so do some others. McMurray said he received a flood of campaign contributions in the 24 hours after Collins’ arrest. The previously ambivalent Democratic Congressional Campaign Committee called him up, too, McMurray said. McMurray also took a moment to touch on his roots in the district; to promise that he’ll listen to constituents, something he said Collins hasn’t done; and to say he supports Medicare for all. “I’m a practical person who wants practical solutions for Western New York,” McMurray said. Collins; his son, Cameron Collins; and Stephen Zarsky, the father of his son’s fiancée, were indicted last week on federal securities fraud charges. Each defendant also faces a charge of making false statements to the FBI. The whole case is rooted in Collins’ relationship to Innate Immunotherapeutics, an Australian biotechnology firm that was working on a drug to treat multiple sclerosis. Collins himself says he was the company's largest shareholder and had served – uncompensated – on its board of directors. His seat on the board gave him access to non-public information about the business, the federal indictment says. Toward the end of June 2017, Collins and other board members received an e-mail from Innate’s CEO informing them that the company’s promising MS drug failed its clinical tests, a fact that would be made public in coming days, the indictment says. The indictment alleges that Collins shared that information with his son Cameron before it was public; that the younger Collins "traded on that information" and shared it with Stephen Zarsky and others, who in turn also sold off stock because of it. The trades helped Cameron Collins and Zarsky avoid more than $768,000 in losses, says the indictment. The Securities and Exchange Commission has begun civil proceedings against the three defendants, based on similar allegations.